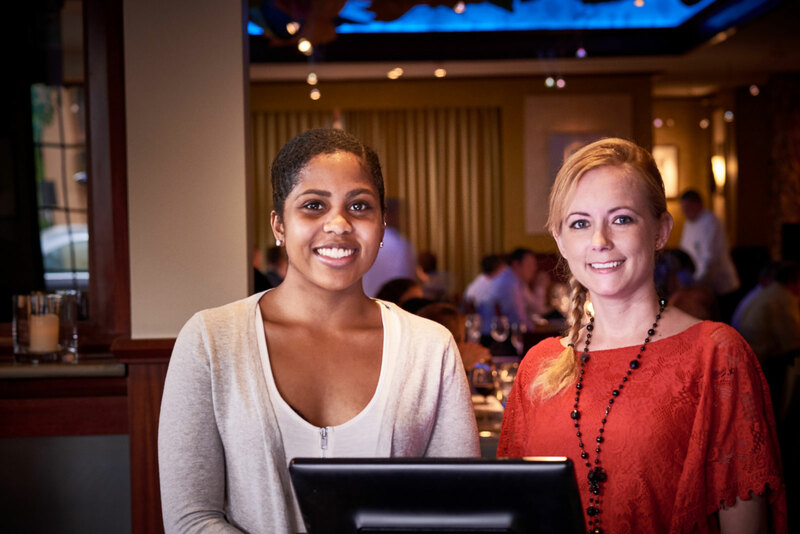 We invite everyone to join us at any of our Burke Hospitality restaurants for a great dining experience in a comfortable, upscale polished casual environment. To enhance the experience of all our guests we ask that you respect our dining and attire guidelines. Your comfort and enjoyment is our priority, however, we do not feel that overly casual attire is appropriate for dining in our restaurants. We hope that you will respect this guideline and always visit in appropriate attire. Please call the restaurant and speak to one of our management team with any specific questions about attire. Hats in the dining room and flip-flops on men are examples of overly casual attire. We request that cell phone conversations be taken to the lobby or outside. Our restaurants, with limited exception, are not designed to seat parties of more than 6-8 people together. Most tables accommodate 4 people, with a few exceptions. If you have a group larger than 8 guests, we request that you contact the restaurant and speak with the manager or catering manager to discuss seating and space availability. We do offer some private dining rooms in 4 of our restaurants that could provide you with a comfortable dining experience. We always consider special requests, but some modifications cannot always be honored as they can impact the flow of our kitchen and the quality of our dishes. Please notify us of any allergies you may have. We are very concerned about your well-being and not all ingredients are listed on the menu.